The Phillies closer situation is in flux. Ryan Madson broke his toe in a temper tantrum and will be replaced by Brad Lidge, who had arguably the worst season for any closer on a team that went to the World Series. 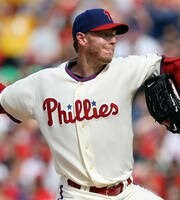 Have Roy Halladay throw a complete game every 5 days. It’s not a bad strategy. And with yesterday’s complete game shutout against the Mets, he is serving notice that he is not conceding the Cy Young to Lincecum, Jimenez or anyone else. He also showed Mike Pelfrey that contending for a Cy Young is a little harder than having a damn good April. The Mets got creamed today. It is safe to say Jaime Fallon forgot to chant today! What is it about closing in Philadelphia? Now Ryan Madson is blowing leads? 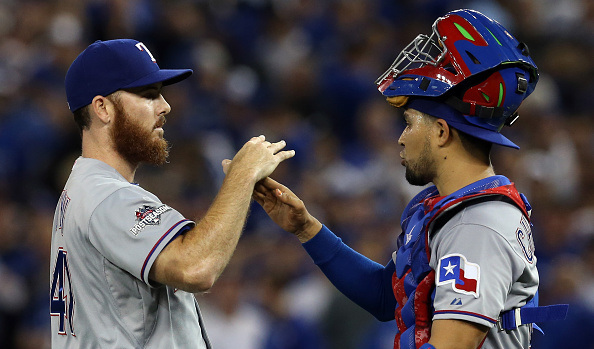 Maybe a curse was placed upon the entire bullpen in Philadelphia. 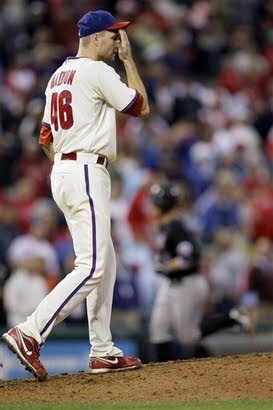 You would think that the MLB Network would have seen some sort of hex when they did their Phillies bullpen show. Either way, having an entire bullpen of arsonists instead of firemen is no way to repeat as Champs. LET’S JUST GET OCTOBER STARTED!!! !